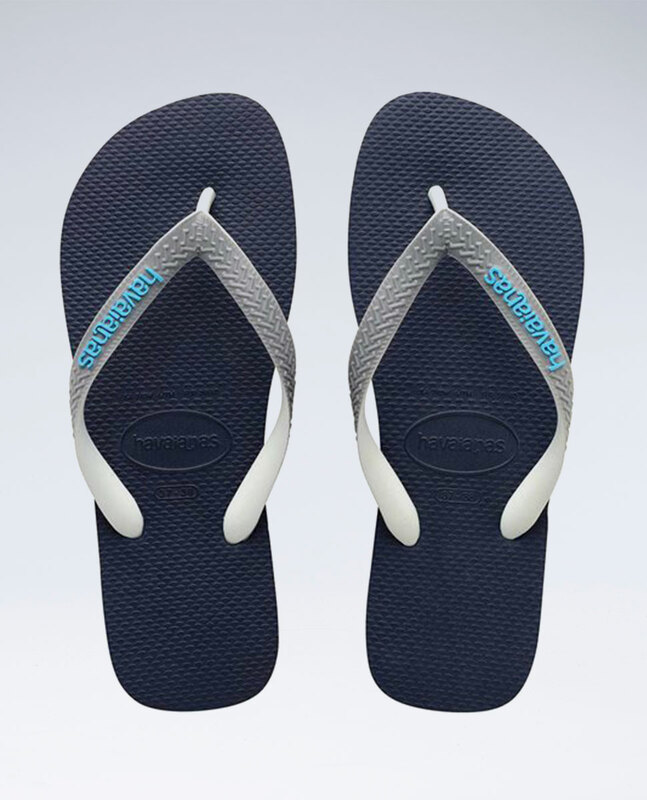 Havaianas Kids Rubber Logo Navy/Grey/Blue Thongs. 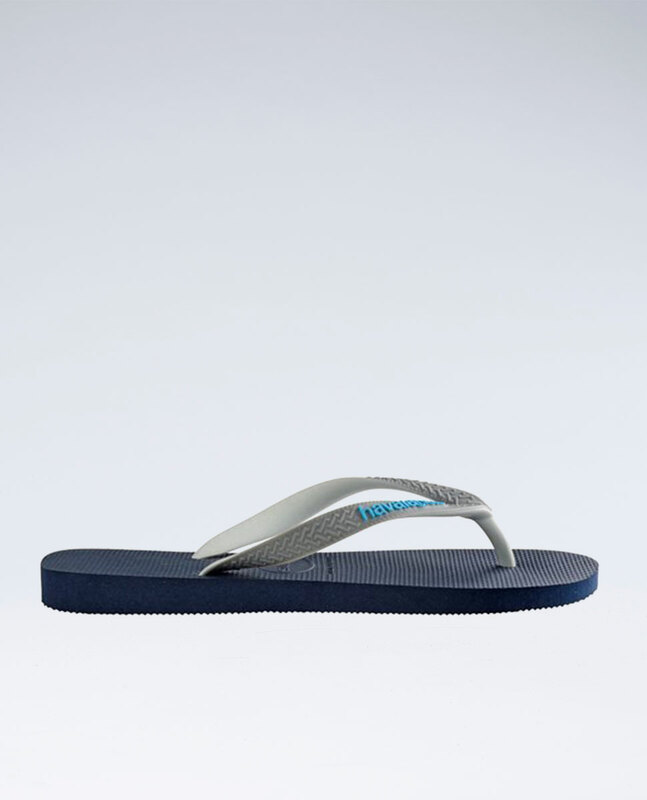 Classic colour-blocked Havaianas in navy with grey stripe and striking contrast rubber logo! Footwear made from our secret Brazilian rubber formula.